A missing New Jersey woman and her great-granddaughter have been found alive in Virginia. 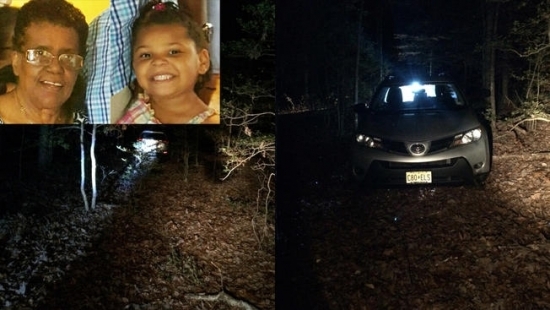 71-year-old Barbara Briley and her great-granddaughter La'Myra Briley were found safe inside their vehicle while parked on private property in rural Dinwiddie County south of Richmond. Their car was about a mile from the road. The pair had gone missing traveling from Mays Landing, Atlantic County, to family in North Carolina on Christmas Eve. They were last seen at an Exxon station in Ruther Glen, VA, at around 6pm on December 24th. Barbara had asked for help with her GPS. The family said they lost contact with her shortly after and could reach her by cell phone. The property owner discovered the Briley's Toyota's Rav4 and notified authorities around 5pm Wednesday. The Dinwiddie County Sheriff Office and Virginia State Police responded. Barbara was flown to VCU Medical Center in Richmond, Virginia, for treatment. La'Myra was unharmed but was taken to the hospital for evaluation. They may have been there a few days, but had drinks and snacks to hold them over. Investigators are trying to determine how they ended up at that location and how long they were parked there.